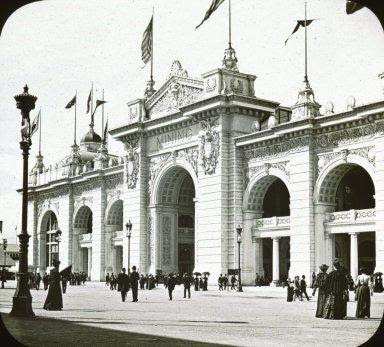 Found on the pages of The Chicago Tribune on this date in 1891 . . .
A flurry of activity on this day as planning for the buildings to be constructed at the World’s Columbian Exposition grounds began in earnest. Bids went out for the Mines and Mining Building on this date in 1891. On April 15 bids for the Electrical Building would be asked. Also on this day the Chief of Construction Daniel Burnham was asked to prepare sketches for a forestry building, a structure not included in the original budget. The architect was directed to dedicate $125,000 for the planning and construction of the building. The tower was not constructed. Common sense prevailed. As the January 2, 1892 Scientific American stated, “We do not understand that this work is any portion of the official plan, but that, on the contrary, it is made the subject of concession to the capitalists who provide the necessary funds and expect to gain a large return. We think it a matter of regret than an exhibition so original in its general features should be marred by the adaptation of an idea—though absolutely novel and successful at Paris in 1880—from another exhibition. 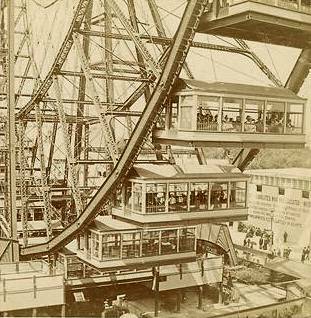 In Norman D. Anderson’s Ferris Wheels: An Illustrated History we get the inside story. The great Director of Works Daniel Burnham held forth at a Chicago dinner attended by a group of architects and engineers. Praising the architects for the accomplishments they had achieved, he, in turn, gave the engineers a gentle scolding. A tower? It has already been done. Where are the new ideas, a novel and innovative structure that showcases the advances in technology that will be on display all over the grounds of the Great Fair? We use to have a Saturday afternoon club, chiefly engineers at the World’s Fair. It was at one of those dinners, down in a Chicago chop house, that I hit on the idea. I remember remarking that I would build a wheel, a monster. I got some paper and began to sketch it out. I fixed the size, determined the construction, the number of cars we would run, the number of people it would hold, what we would charge, the plan of stopping six times in the first revolution and loading, and then making a complete turn—in short, before the dinner was over I had sketched out almost the entire detail, and my plan has never varied an item from that day. The wheel stands in the Plaisance at this moment as it stood before me then.